In what has been hailed as a major victory for clean water advocates, the U.S. District Court in Tennessee has ordered the power utility, Tennessee Valley Authority, to remove its coal ash from unlined storage pits at its Gallatin power plant along the Cumberland River near Nashville. The unlined pits, constructed over a period of several decades, were shown to be leaking into the groundwater and the Cumberland River. Coal ash is a byproduct of burning coal for power, and has heavy metals like arsenic, mercury and lead in it, which can be harmful or fatal to humans and other animals. The suit brought by the Tennessee Clean Water Network and the Tennessee Scenic Rivers Association alleged numerous violations of the Clean Water Act related to TVA’s Gallatin operation. The court’s decision comes at a time when power plants across the country are seeking approval to leave large deposits of toxic coal ash in place along our nation’s waterways. Most utilities are working hard to convince regulatory authorities that capping the waste and leaving it in place is a rational solution. However, as communities across the country are becoming aware of the long-term liabilities, pressure is mounting to move the harmful material to properly lined facilities. Once closure plans are approved, residents will live with the decisions for perpetuity. Despite expected resistance from power plant owners, many coal ash storage impoundments across the nation are being cleaned up. Duke Energy is in the process of moving coal ash from six impoundments in North and South Carolina. Every major coal ash lagoon in South Carolina is now targeted for cleanup. Similarly, Georgia Power has agreed to remove coal ash from at least sixteen of its impoundments. Florida utilities, Gulf Power and Tampa Electric Company are excavating two additional sites. Immediate and significant reductions in coal ash pollution have been recorded where coal ash is relocated away from water bodies. Meanwhile, in Illinois, Dynegy-Midwest Generation is proposing to cap 3.3 million cubic yards of toxic waste in the floodplain of the Middle Fork of the Vermilion River, Illinois’ only National Scenic River. This is enough waste to cover 1,547 NFL football fields with coal ash one foot deep and, like the ash at the Gallatin coal plant, is leaking into the groundwater and the adjacent river. Dynegy wants to cap the pits and leave them in place, where this toxic material will remain in contact with the groundwater and river forever. But of even greater concern is the force of the meandering river, which continues to move closer to the coal ash pits, protected only by eroded river banks. Over thirty years experience shows that stream bank stabilization installed in the 1980s to protect these banks has failed, and that no amount of riverbank armoring will last forever. Why should Dynegy be allowed to leave its mess behind for Vermilion County residents to maintain, repair, or clean up in the event one or more of the pits are breached by the river? We think Dynegy-Midwest Generation should be required to relocate its ash to properly lined and monitored cells on its property. 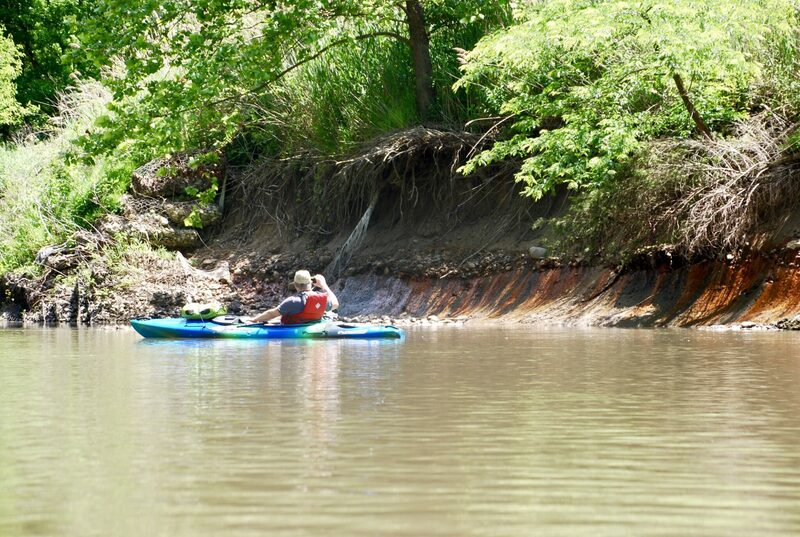 That is the only solution that will protect area residents, Danville, and Vermilion County from ongoing pollution and a potential spill that could destroy this scenic river forever. If you think the coal ash should be moved out of the river system, add your voice to the growing number calling on local officials to talk with the Illinois EPA and Governor Rauner. Let’s work together to make sure that taxpayers aren’t held liable for these pits once Dynegy leaves.